Why you should make your own smart sockets? Because it’s fun and you’ll learn something new. Because you’ll be able to automate your home and do lots of cool things with it. Because it’s cheaper than commercial alternatives, especially if you want to own multiple ones. I make mine under 10$. For controlling device over the internet we add the code that allows us to connect to our local Wi-Fi network, and run a simple webserver. In the setup() function, we configure the pin as an OUTPUT, use the WiFi object to connect to our local Wi-Fi network, and print out the assigned IP address. Then, we use the server object to create 2 routes to our ESP8266 application. We want to print out a “usage message” (in JSON format) when a user navigates to the top level path “/”, and we want to toggle the relay on and off when a user navigates to the “/rel=on” or “/rel=off” path. Here is source code for this project. 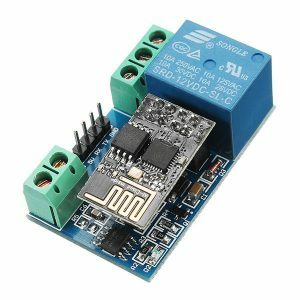 You must write it on your ESP8266.